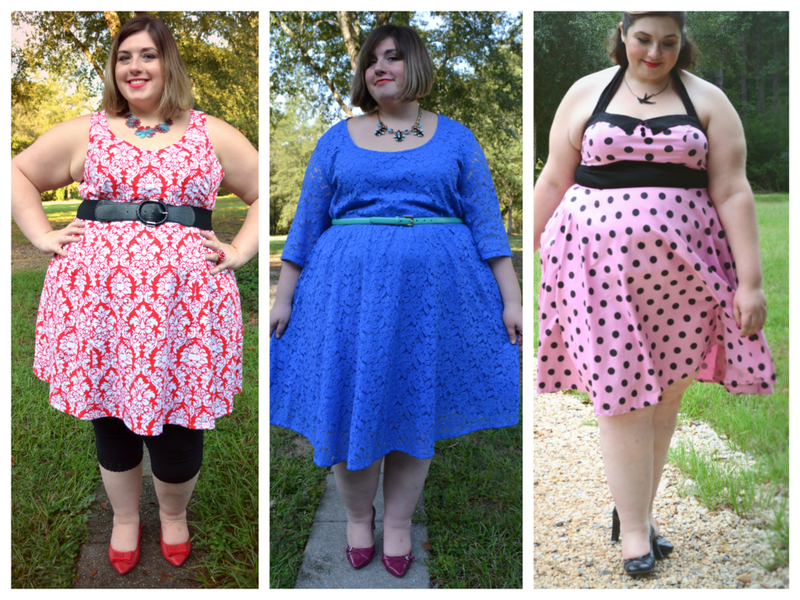 What do all these dresses have in common? They all come from Gwynnie Bee! Gwynnie Bee is a great risk-free way for anyone size 10-32 to try out new clothes and to get acquainted with unfamiliar plus size brands. For the cost of a subscription, you can borrow garments and return them regardless of whether you’ve worn them or not, postage paid. And if you love something they send you, you can buy it at a great price! Gwynnie Bee is ending their 30 day free trial offer tomorrow, September 30th! When I signed up, I used my free trial to become familiar with brands and fit among their selection, and it made my experience much better once my trial was over and I started paying the regular subscription fee.